Companies from all industries have turned their attention to addressing the 17 Sustainable Development Goals (SDGs), tackling a range of issues including climate change, economic inequality, sustainable consumption, peace and justice, among other priorities. However, reports from the Sustainable Development Solutions Network show that in order to meet the ambitious goals set forth in the SDGs, progress must accelerate – and more organizations need to join the movement. Recently, in an effort to help companies better measure and report on their progress, the Global Reporting Initiative (GRI) and the United Nations Global Compact released a “Practical Guide” to help fast-track progress as we move towards 2030. The framework, Integrating the SDGs into Corporate Reporting: A Practical Guide, was created to help companies of all sizes, from across different sectors, tackle the world’s most pressing issues by providing a more detailed method for defining priorities and optimizing existing efforts. 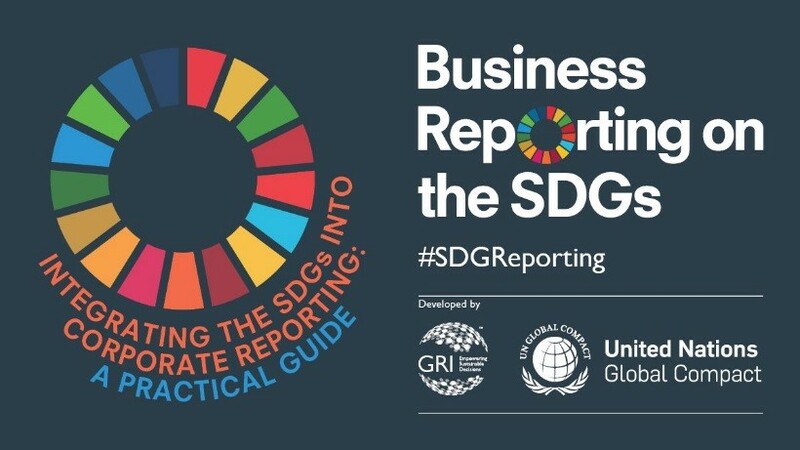 Rather than creating a new reporting technique, the guide outlines a three-step approach to integrate the SDGs into existing business and reporting processes. The guide helps organizations better understand and align the 17 SDGs with their business operations and includes tips for measuring and analyzing progress. Based on the results, the method also helps optimize reporting, and integrate and implement change. The approach also stresses the importance of aligning with the SDG that best suits individual businesses – not which goal will be easiest to report on.